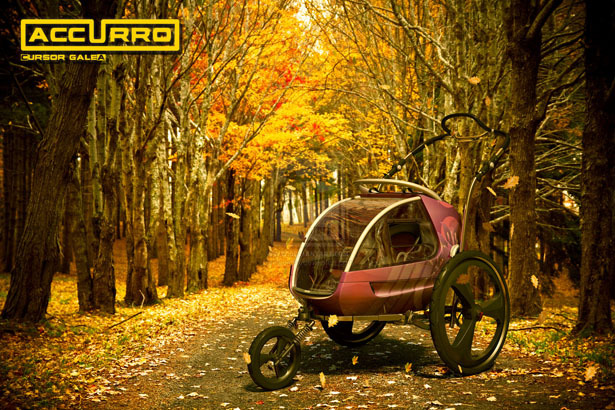 Accurro Baby Stroller has been designed especially to be used while doing sporting activities such as jogging and cycling. 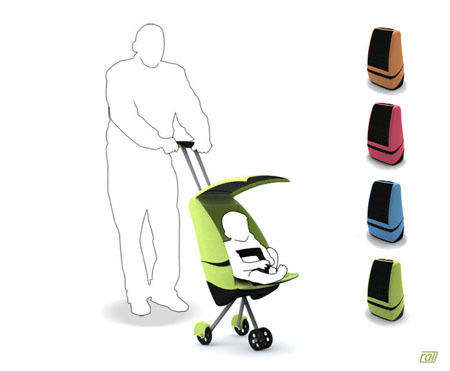 This concept brings new elements in stroller design with its multi-functionality, ergonomics, safety and relaxation methods for both parents and children. This stroller is ideal for people who love outdoor activity and adventure. 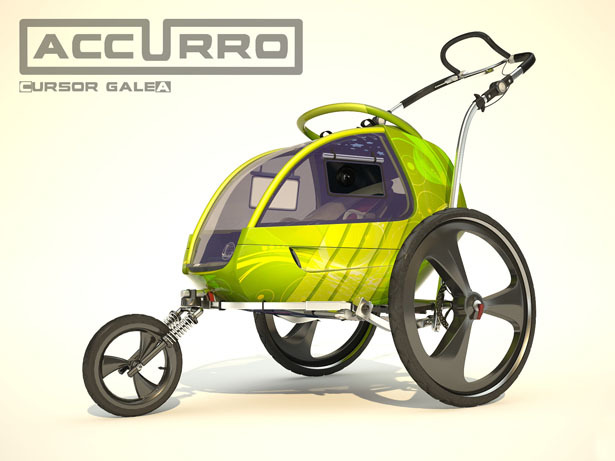 According to the designer, Accurro Baby Stroller project is a revolutionary concept that will bring stroller design to a whole new level. 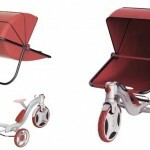 The shape boasts simplicity, fluidity, safety as well as attractive design, it is very easy to assemble. Available baby strollers in the market are not far from traditional construction line, therefore, the production of Accurro is expected to create significant impact. New features implemented on the strollers are usually for adding new accessories instead of upgrading the stroller functionality itself. That’s why we need to come up with something different, something that breaks the pattern and very well defined over the years. 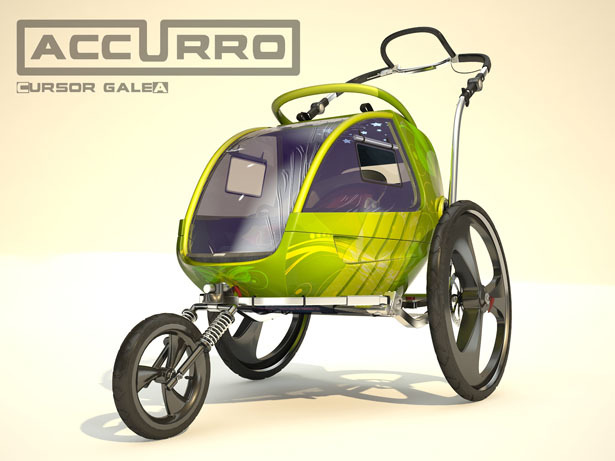 Accurro Baby Stroller consists of 2 major parts: the shell and the frame. The shell shape resembles a motorcycle helmet which offers a great protection for the child inside. It uses the same materials used when making motorcycle helmets; therefore, it’s pretty lightweight yet resilient to impact. There’s a built-in sound system inside to entertain your baby, it’s been specially designed not to exceed certain decibel limit. The smooth shape with no folds or striations very attractive therefore can actually become a decorative object in a room. Inside the shell there is an extensible and ergonomic seat which offers the possibility of seating the child in different positions weather it’s lying back or sitting up straight. On both sides of the shell there are two gripping systems which help attach the shell to a seat belt while it is accommodated inside a car. 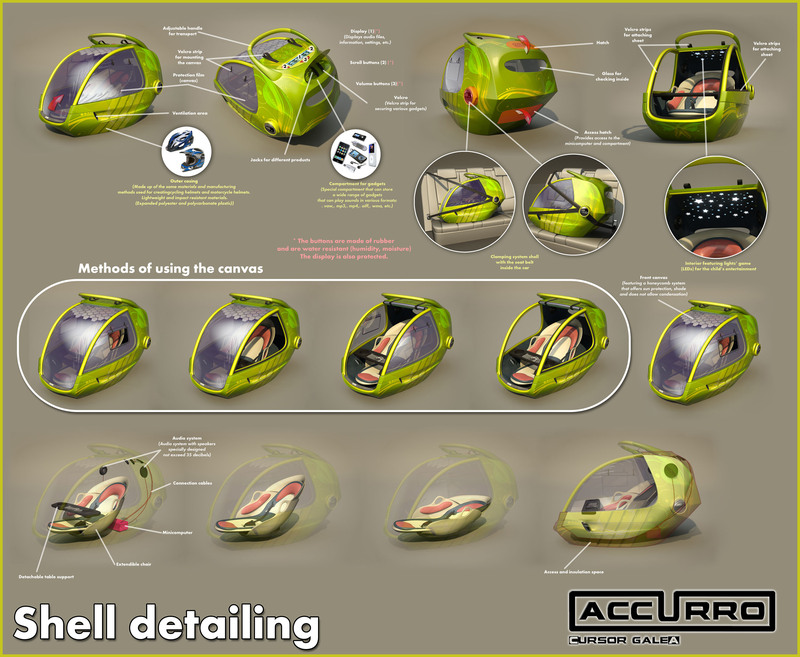 The shell offers an increased comfort level through its animation and delight features. 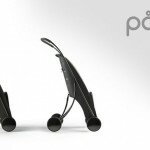 For the parent this element turns into a modern accessory which sets the tone for the stroller industry. The Frame is equipped with an adjustable suspension system according to the child’s weight and according to the terrain. The front wheel has two spring systems which offer the stroller the possibility to run on an off road terrain like a bumpy trail or a forest path. The front wheel is effortlessly detachable from the frame through a simple and easy to use safety system. Likewise the back wheels are as simple to detach as the front ones therefore considerably reducing the amount of space occupied for storage. 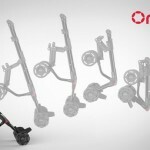 The snap-on grip system situated on the center of the frame has the role to grab and secure the shell on the frame. The handle of the stroller is ergonomically designed for running and it resembles the handlebars of a bike and offers support and a good grip for the person pushing the stroller. The frame can be equipped with a large variety of accessories corresponding to the costumers needs. Among the features we have wheel fenders, different styles of handlebars fit for speed, speedometer, signaling systems for those traveling at night etc. 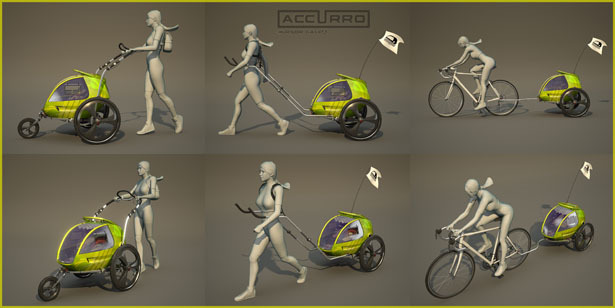 The logo of the Accurro Baby Stroller is based on the word ACCURO which means in Latin ‘to run towards smt.’ exemplifying the purpose of this stroller- running (jogging). 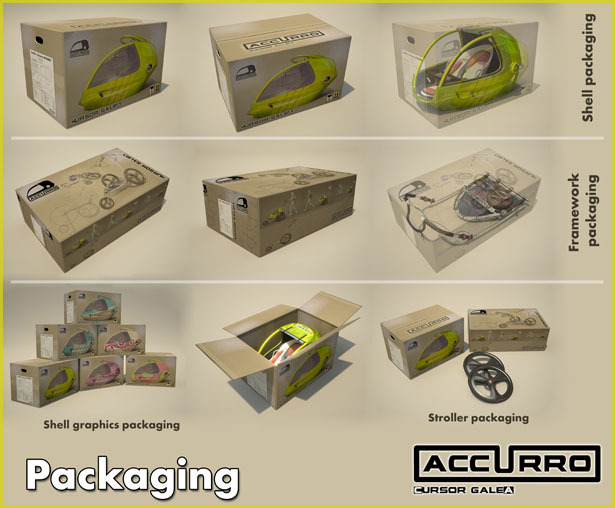 The packet if made up of two cardboard 100% biodegradable boxes, one for the shell and the other for the frame and the wheels. 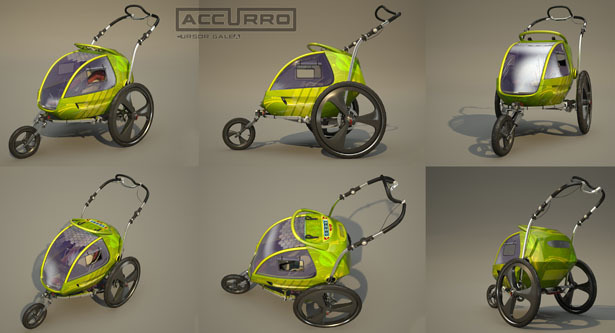 Tuvie has received “Accurro Baby Stroller” from our ‘Submit A Design‘ feature, where we welcome our readers to submit their design/concept for publication. 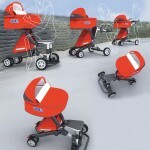 Tagged as attractive design, baby strollers, construction line, parents and children, revolutionary concept, striations, traditional construction. WOW, that’s a very interesting concept indeed!! 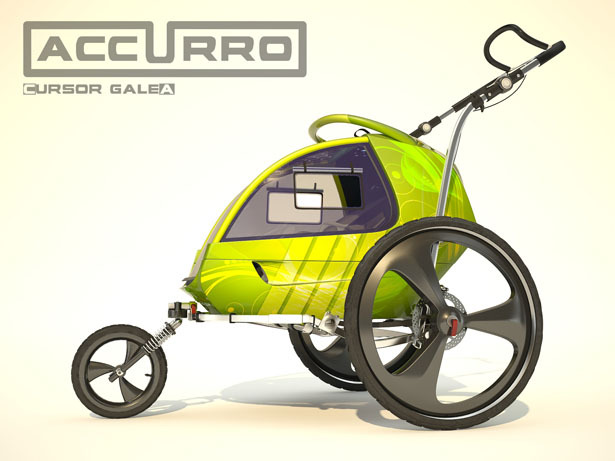 Accurro Baby Stroller would be a very comfortable sitting and sleeping ride for babies with parents. I’m so much excited to use that baby stroll. Thanks. IS THIS AVAILABLE YET FOR THE MARKET? Holy cow, does anyone even make a simple four wheel cloth stroller anymore? Then again, why would you. These are so much better. I love the new Accurro. 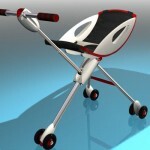 Amazing design concept of this stroller! !Its looks like a small car for baby..i love to buy this stroller and want to use this.. I love that stroller. Where can I order it, and prices? I would love to purchase this stroller. As a mom of two kids, age five and 19 months old, i have been in search for a stroller that I can use, that will grow with my youngest child. You see, I am an active runner and participate in triathlons. I currently have a decent jogging stroller but it does not accommodate our many needs and also my daughter is outgrowing it fast. 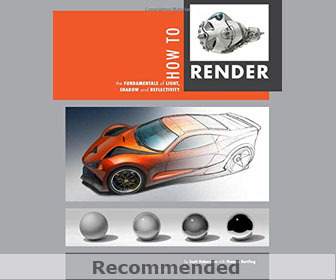 I have been searching for a stroller like your design for over a year. Infact I am dreading spring coming up because we won't be able to participate in many athletic events I would like to, if I can not find a stroller that will work for our situations. 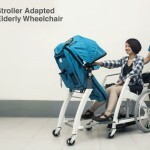 This stroller fills my ultimate NEED! How can I possibly purchase one? 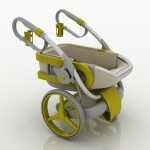 I also have a few ideas that you might be able to incorporate into a stroller design. I have thought of these ideas from personal experience and they are legitimate needs that any stroller jogger relationship has! Hi Jessica, as far as we know, this stroller is still concept, but we believe the designer would love to hear your suggestions. how much is this stroller please ? 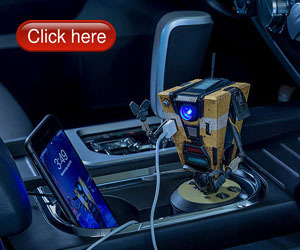 I am interested in this product…Any word on when it will be available?